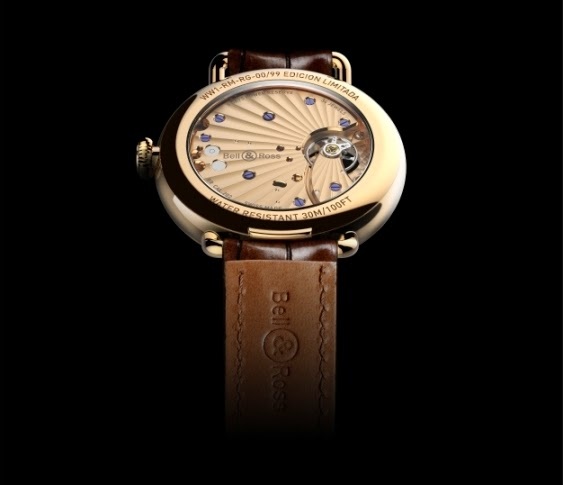 Swiss watch brand Bell & Ross presents its new Vintage WW1 Edición Limitada, a collector’s watch for cigar lovers. The colour scheme of the watch displays shades of brown that immediately evoke the iconic browns of Cuban cigars, in a design that skilfully combines the worlds of watchmaking and cigars. The roundness of the case and the style of the dial bring to mind the shape and colour of a cigar. The subtleness of the lugs, and the design of the Arabic numerals covered with gold dust arouse a vintage atmosphere that is reminiscent of the traditional craftsmanship of cigars. With a diameter of 42 mm, the case is joined to the strap with fine wire lugs that hark back to the first wristwatches, the direct descendants of the pocket watches from which the Vintage WW1 Edición Limitada takes its curving lines and the purity of form. 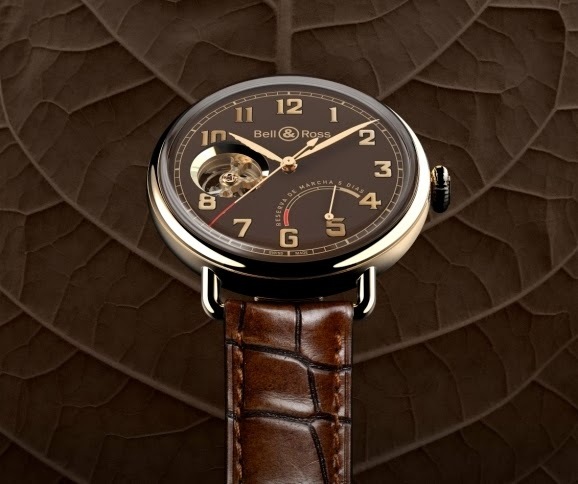 The deep reflections of the red gold combine elegantly with the brown of the dial and the strap. The narrow alligator leather strap and the gilded hands contribute to the elegance and refinement of the design. As a final nod to Cuba, the words on the dial are written in Spanish. 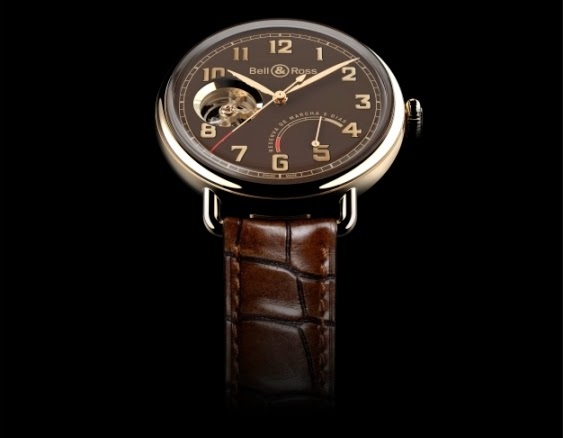 Bell & Ross has chosen to equip its new Vintage WW1 Edición Limitada with a movement with a large power reserve. The manual winding mechanism is armed with a double barrel that provides power for up to five days of operation. On the dial, a hand that travels in a slow arc with the inscription “reserva de marcha 5 días”, indicates the wearer how many days are left before the watch requires winding. Any cigar lover knows that behind its apparent simplicity, a cigar is the result of a complex and careful process of assembly. The heart (or “filler”) is made with tobacco leaves that come from different parts of the plant, and it is bounded or enclosed by another leave called «binder». Finally, these are covered by the wrapper, a large leaf that is the outermost layer of the cigar and give it its colour, due to its long period of fermentation. Just as a “torcedor” knows all the secrets to cigar making, a watchmaker knows that the smooth running of a watch relies on the craft behind its precise mechanism. The Vintage WW1 Edición Limitada has an opening in the dial that allows a view of its mechanism. The movement of the balance is also visible, whilst ensuring that the indications remain readable. On the reverse of the watch, a transparent sapphire back reveals the beauty of the mechanism particularly that of the three quarter main plate and the bridge of the balance. Bevelling, a Côtes de Genève finish and blued screws complete the aesthetic of the mechanism. 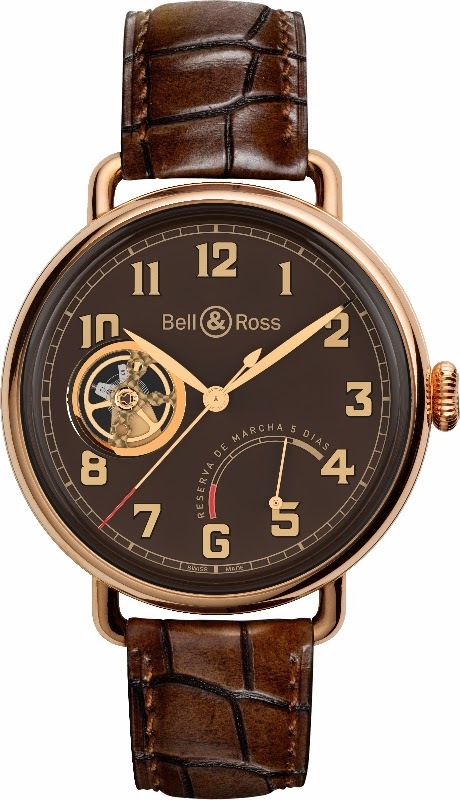 With this limited edition of 99 watches dedicated to cigar lovers, Bell & Ross once again demonstrates its watchmaking skills. 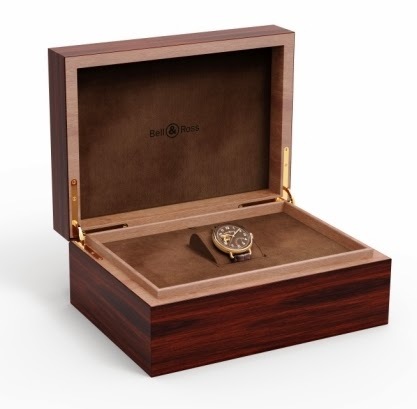 To enhance this meeting between the worlds of cigars and watches, Bell & Ross has chosen to present the watch in a case of Makassar ebony, which can be transformed into a humidor with a humidifier and a hygrometer. This case holds up to 50 cigars and is made out of the rare and precious kaya wood. Its colour palette compliments that of the Vintage WW1 Edición Limitada. Crystal: ultra-curved high-dome sapphire crystal with antireflective coating.